Yes, this happened. Yesterday I nipped on the train into London to meet a friend from Uni that I'd not seen for a good couple of years. We decided to give Burger and Lobster (Clarges street, Mayfair) a try as we'd both heard good things, but not got round to actually going. We arrived just before 1pm, put our name on the table list and got a drink at the bar. I'd heard horror stories of people having to wait forever to get seated, so was a little apprehensive, but we only ended up waiting about 15 minutes. In terms of the menu; well it's dead simple. 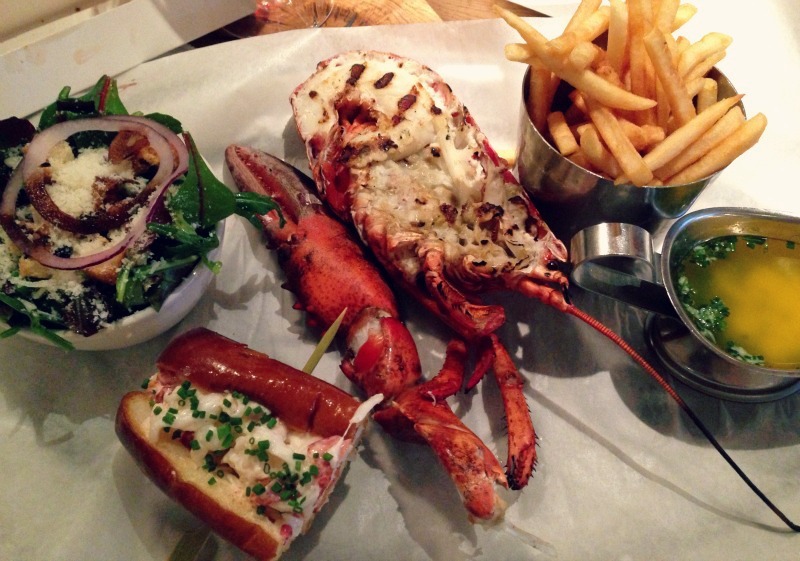 You have a choice of lobster, lobster roll, or a burger - all of which cost £20 and come with salad, fries and garlic butter on the side. 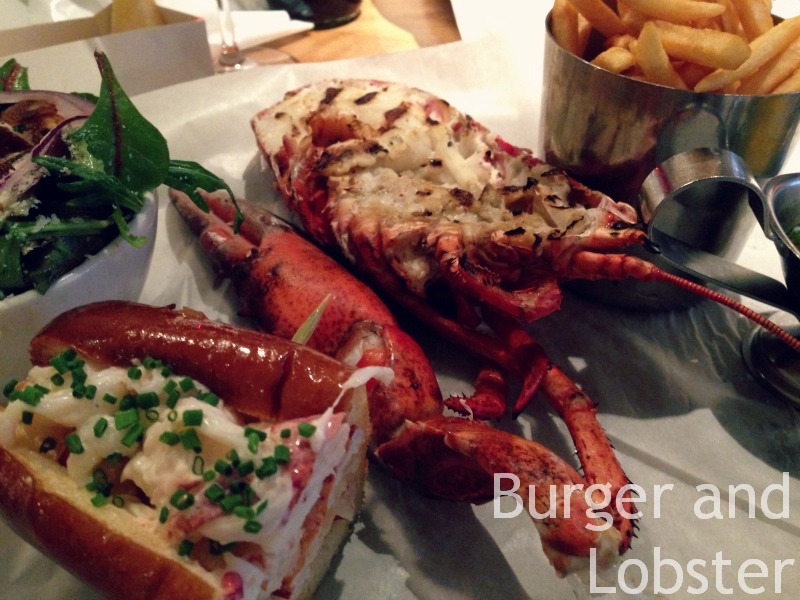 We went for a lobster roll and the lobster (grilled) to share between us... as much as I love a good burger, I resent paying £20 for one! Our meals came pretty quickly, easily within about ten minutes of ordering. We split the two meals and shared it out onto the two platters, before donning our bibs and digging in! 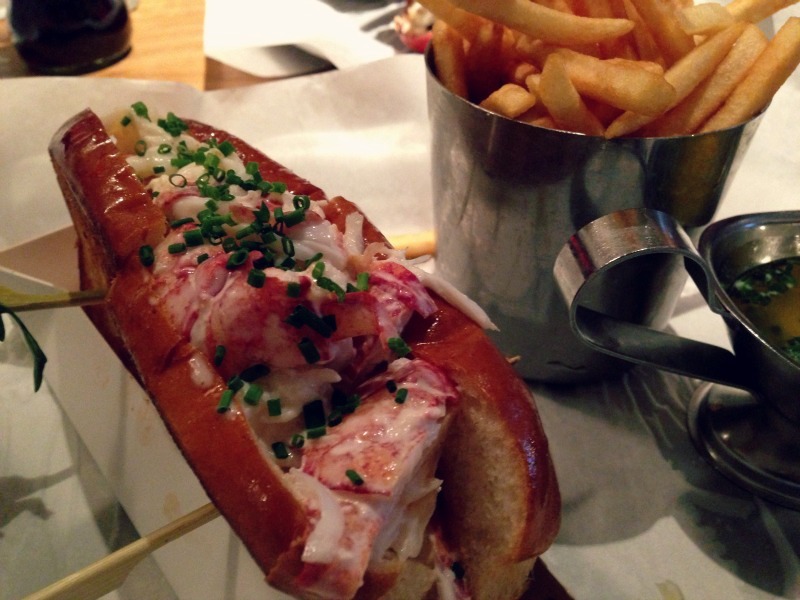 The lobster roll was divine; in a brioche roll and bursting with meaty lobster. Delish. The lobster itself was pretty good too, although I do find lobster a bit of a faff to eat - I'm not that into having to fight my way into my meal. Lazy and greedy, that's me! I have to admit lobster probably isn't my favourite seafood or crustacean, and was more fishy than I remember it to be. Don't get me wrong, I love seafood and am not one to shy away from trying new things, I just found it all a bit... much. If I were to go again I would probably go for the lobster roll, and try and persuade my pal to get the burger to balance out the fishy-ness. 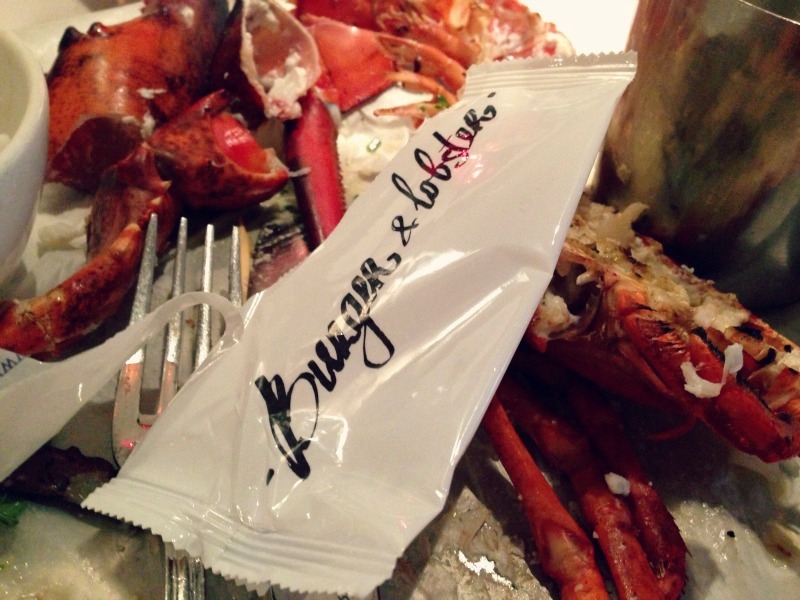 Have you been to Burger and Lobster? Apologies for the quality of the images - taken on my iPhone! I have never tried lobster but this does look very tempting!